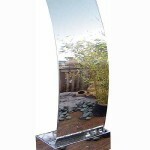 This elegantly beautiful cascading swan stands 88cm tall (35.4″), 35cm (15.3″) wide. 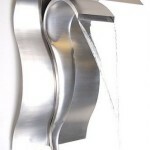 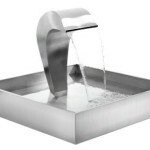 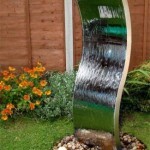 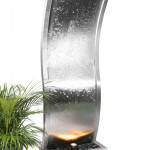 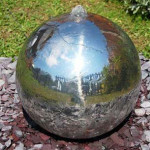 Made from grade 304 stainless steel, this water feature is very popular with amateur gardeners and garden designers alike. 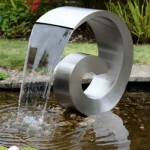 With water flowing out of the swans neck this feature will without doubt add a crisp, modern edge to any garden or simply provide the look of any modern-styled courtyard, deck or patio. 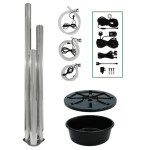 Comes complete with hose kit and 2000LPH pump only (stainless steel reservoir is not included). 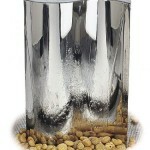 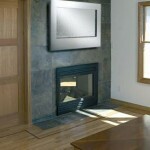 It is suitable for use with a reservoir or in a pond, indoor or outdoor. 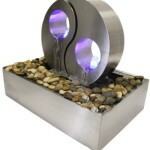 You can install and secure the swan feature on top of the reservoir as it comes complete with nuts and bolts. 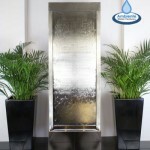 If you wish to place the feature directly in a pond then we recommend selecting option with concrete block.